I am officially in the Halloween spirit. This past girls' craft night and the weekend I worked on making a banner for the front window. 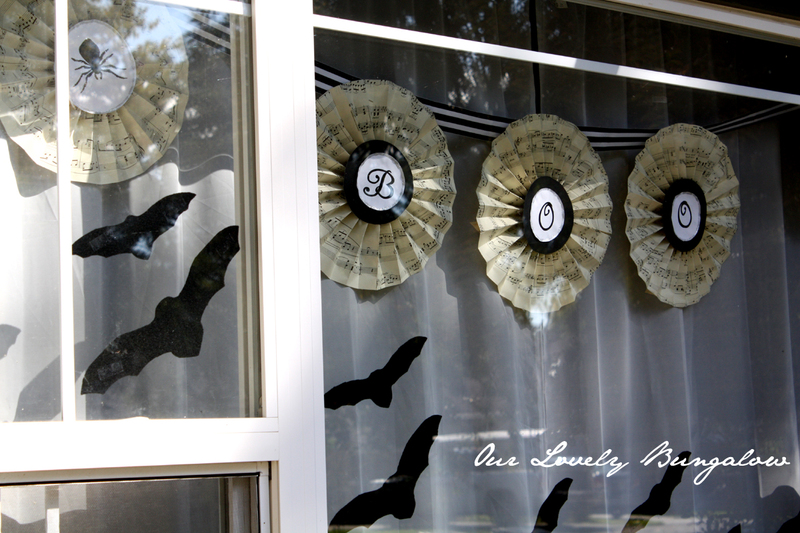 I have loved the look of wreaths or banners made from old sheet music so I thought I would give that a try for a Halloween-inspired banner. 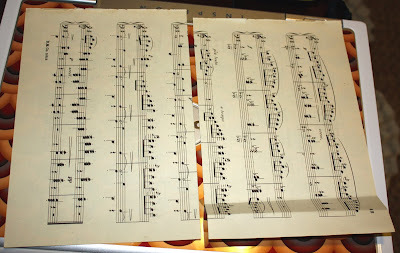 I found an old book of sheet music on Ebay for pretty cheap. It already had some imperfections (missing cover, torn pages) so I didn't feel too bad taking it apart. I cut each page in half and then folded the halves accordion-style. I glued the ends of the folded sheets together until they were long enough to fold into a circle and glued the circle closed (my circles needed 5-6 half sheets). Next, on to the letters. I printed out the letters "B", "O", "O", and a couple spiders from clipart and cut them into circles. 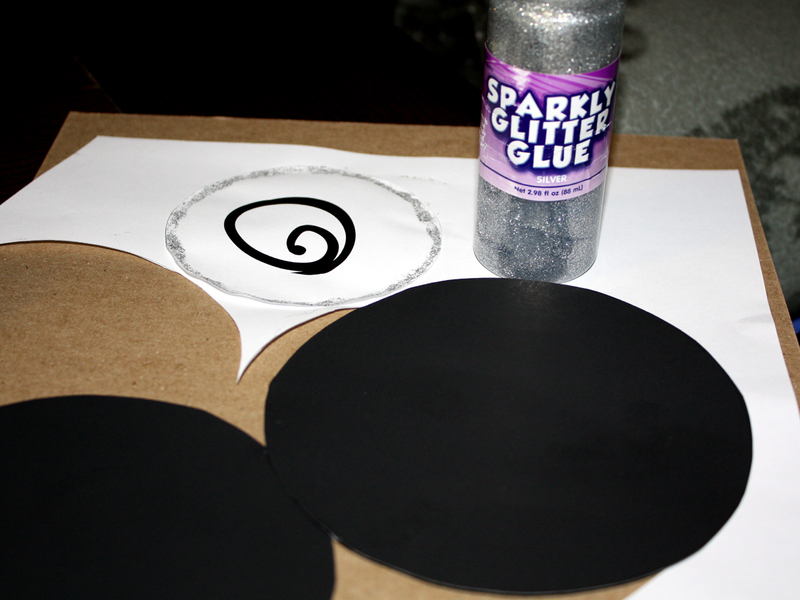 I added silver glitter embellishment around the edges. 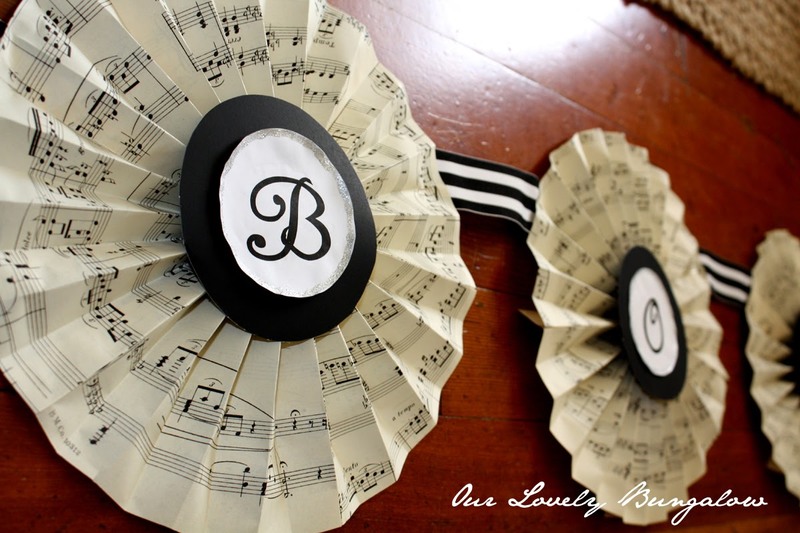 For the letters I also cut out black construction paper a bit wider than the letter circles to add some contrast between the letters and the sheet music. 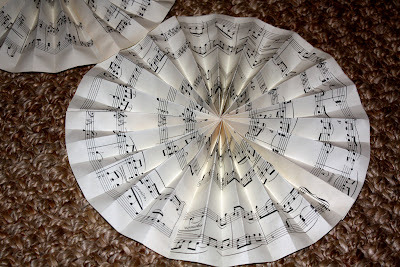 Then I glued the letters and spider clipart images onto the sheet music circles and pinned the circles on to a black and white striped ribbon. Lastly, it was time to hang the banner in the front window! I had to adjust the placement of the circles to fit the windows (good thing I had pinned them into place!). And here it is! I also added a swarm (flock?) 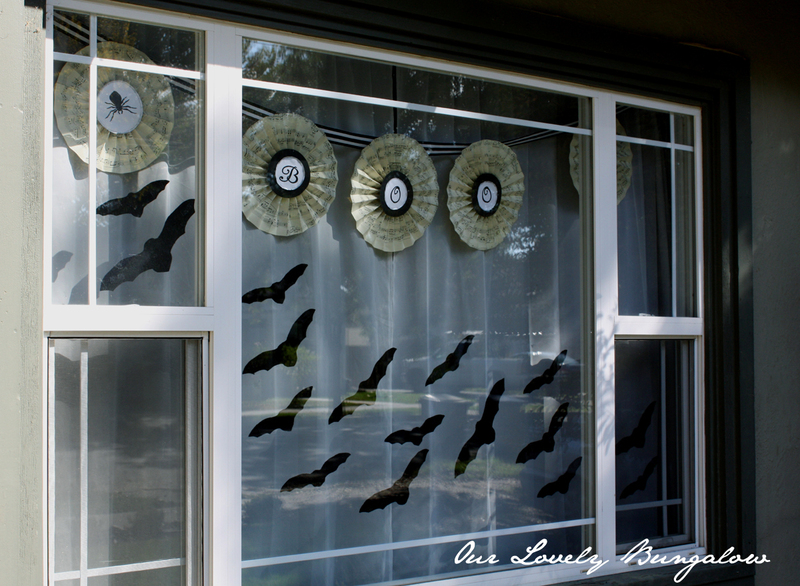 of bats I made from felt, swooping across the window. Maybe not the scariest Halloween display but I LOVE it! Fabulous banner! 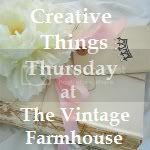 Hope you will come share it at my linky party!